Plants and refineries are incredibly dangerous work environments due to the hazardous machinery and chemicals that are used on a daily basis. Victims of plant and refinery accidents often experience injuries from burns, but may also suffer brain injury and spinal cord injury due to concussion, well pad injuries, and even wrongful death. Incidents at plants and refineries can be traced to a wide range of causes. 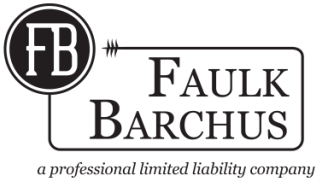 Regardless of the circumstances, when severe injury or an untimely death has affected you or a family member due to a plant or refinery accident, it is time to seek the help of a Faulk Barchus personal injury attorney. Our sympathetic and skillful attorneys have represented individuals injured in plant and refinery accidents and helped them recover the maximum compensation needed to recover and move forward in life. If you or anyone you know has been injured as a result of a plant or refinery accident, contact an attorney at Faulk Barchus for a case evaluation and professional assistance.